Heart Choices: Are You Authentic? Are you authentic? We talk a lot about being real. But when you blog do you let it all hang out? I was pondering this recently. For several years, I was on the leadership committee for my denomination's annual women's conference in Phoenix. One of my jobs was to research and locate potential keynote speakers for this event. It was fun communicating with people like Jennifer Rothschild. I actually got a return phone call from her hubby (her own Dr. Phil) while I was grocery shopping! And Jennifer was our keynote speaker that year and ...did an awesome job. Years before we actually confirmed Lysa TerKeurst as a keynote speaker, she phoned me at home from her cell. She was in an airport waiting to board her flight and she was calling me! I was so excited as she shared a testimony with me! I was thrilled when she finally spoke at our conference. And I have to say that Lysa's ...the real deal! But one year, our leadership team was really praying about the theme for the conference. We had already lined up Liz Curtis Higgs as our keynote speaker. I had nothing to do with arranging this as she'd been booked years in advance. But when we prayed about our theme, I remember "let's get real" kept going through my head. When I suggested this theme, there was some skeptism. But the women graciously agreed to pray about this. Jeanie, our team leader came to our next meeting with some exciting news. She had mentioned "let's get real" to Liz and ...she loved it! Why was I surprised? The woman who shared that years ago she had a radio show and Howard Stern told her she needed to ...clean up her act! 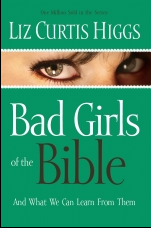 After becoming a believer by the grace of God, her first best selling book was titled "Bad Girls of the Bible". Yes, Liz got it. She knew that many women needed some real practical advice about living out this Christian life. Not just the niceties because many women have some very real and difficult issues in their lives. I have to say that Liz was a delight. She's an excellent speaker, an encourager and oh so funny. But she also knows when to get serious. I observed her speaking with many hurting women during our breaks, loving on them and speaking truth to them. 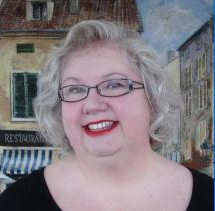 I simply have to say that I love Liz Curtis Higgs! She's ...the real deal. As I'm writing this post, I realize I still have so much more to say on this topic. So, if you have an interest in this topic, I may write several posts on this theme. I'll post another one next Monday so I hope you'll return for more. The Lord is working on my heart in this area too so maybe ...we can all learn together. I have a few questions for you. How much do you share? Do you lay it all out there in your blog? Or are you selective? How do you protect the privacy of your loved ones? I just love Lysa TerKeurst! I am very real, I share everything. I pray it helps someone. true faced. why else bother. My kids are protected. My husband has given consent in that he trust my judgments. I'll be back for more my friend. How do I protect the privacy of my family? I try to write about my own stuff. There's enough there without going into my family's business. My husband doesn't mind if it's something that might help other people going through the same ... positive or negative. Great questions Debbie! This is the first post I have left on your blog, but have been lurking around for awhile. My pastor says I'm very transparent. My husband says that I am too transparent. I didn't realize that LCH was once a comedian - on the wild side-. Pretty intersting peice of trivia about her. Great questions. I'm selective too. It depends on the topic for me I think b/c some things are just too private and I wouldn't put them on my blog. I also don't put our pictures on my blog just because I don't trust anyone who may happen upon it and I've read stories of things. I'm selective in my blog. There's a lot I'd like to write but don't because I do have some family and friends who have found the blog so I don't always say what is really on my mind or share struggles I'm going through. I do write some of that in my "hard copy" private journal but sometimes I wish I could post it at my blog and get feedback from others. But, what I do choose to share in my blog is real and authentic. I blog about my 'outer' life and keep my 'inner' life to myself - if that makes sense. What an interesting job you had on that committee. Bet it was fun to meet and talk to guest speakers. I met Jennifer Rothschild one year at the Flagstaff Women's Retreat and she's adorable. I am selective because I have many unsaved family members who read my blog. Also, I try to cover my family with love and respect, never embarassing, so I choose my topics carefully. Very interesing questions. I'm not a blogger, but try to follow yours pretty closely. In my personal life, it depends. With some, I think I'm pretty transparent, others more selective, even guarded at times. I think I just have to discern who I am speaking with. I'm selective but not secretive, or overly concerned with privacy. I've got nothing to hide, but try to limit what I share to what will be edifying and respectful, to my reader and my friends and family. It is definitely not a forum where air my dirty laundry or personal grievances, though it is where I will share lessons learned and hope gained. It is not a place for gossip or spreading rumors. If I mention my husband, I'll usually ask him to read before I post and make sure I'm not speaking out of turn. As I said, I've got nothing to hide, but really don't think folks would benefit from, or enjoy hearing all about my day, my little problems or concerns, or all my opinions. Truthfully, my daily life is not that interesting. My heart is for the gospel and the encouragement upbuilding of the church. As a result, my blog is pretty gospel and grace focused. If some story or experience of mine will help illustrate God's grace, I'll tell it, no matter how unflattering it may be. In that sense I will let it all hang out. I will not raise any subject that may be divisive without great care and without very good reason. I avoid politics like the plague. It brings out the ugly in Christians and unbelievers alike, and can be needlessly divisive and distracting from the gospel message. I've seen Christians abandon their godly behavior to participate in slander and rumor mongering for the sake of politics and stubbornly refuse to repent when confronted with error. I share as the LORD lays upon my heart. I am transparent about 'Lisa'. I protect my family because my blog is to minister 'out' to others not to include my family in what is spoken necessarily because blogs are public - WORLD WIDE INTERNET. Anyone at any time can view your blog unless it's private and in these times we must use wisdom in how much we say regarding our families or where we live, etc. That's why I'm cautious about photos etc. I also think it depends on what the PURPOSE OF YOUR BLOG is. Mine is to share Christ with others who don't know Him and those who desire to know Him deeper therefore I am transparent about where I am. 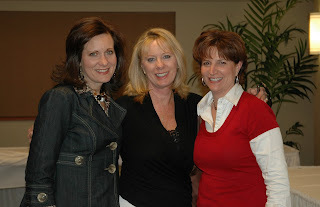 Hi there, How wonderful to be involved with the women's leadership team at your church. I know you add an incredible dimension-haven't heard of two of the women but have read some of Lysa's works-what a woman of prayer. Have a blessed week. You know, protecting privacy is a good thing. But I think maybe we can all protect our families' privacy and be authentic about the way we present ourselves. It's so easy to fall into the trap of editing everything we say about ourselves, admitting only the part that we think will be pleasing to our audiences. It's kind of funny that we would do this online, just like we sometimes do it in "real" life! Maybe we should all try to be be authentic in our writing and kind and gracious in our reading and commenting. I say bravo to you for promoting this idea. real -on what I do post. I think that the challenges our family has faced and how we have come through them (with the Lord) is definitely something I want to share. And also I love to share the praises, for He has definitely blessed our family in so many ways! And I think this will develop more as I continue blogging, but for now after only 2 months, just getting a handle of blogging, but not becoming a permanent fixture to the keyboard, is what I am trying to do. to think about me but about Him.